We’d love your help. Let us know what’s wrong with this preview of How to Live Without Electricity - And Like It by Anita Evangelista. To ask other readers questions about How to Live Without Electricity - And Like It, please sign up. must read for people who ever envision a mass power outage. When California had it's power failures a few years ago, i read this book to prepare myself for the worst. it's got some great ideas, is humorous, and easy to read. Very zen as well...LET GO of our need for AMENITIES! Despite being super dated (20+ years will do that), the info here is pretty much along the lines of the gold standard of emergency preparedness or other off-grid prepping. Nothing overly revolutionary but a good basic resource without the frills of many new books. Had some excellent ideas despite being quite out of date. Nth reread. 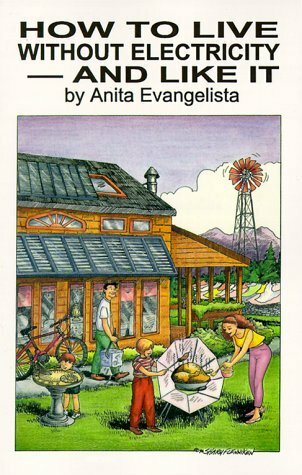 This was one of the first books I read in my research on homesteading. Lots of useful information and inspiration.